I love Marvel Comics movie adaptations – especially watching them with my family. They have been a great source of reciprocal conversations regarding plot lines, character analysis and comparison of powers. My twin sons wish is to one day meet Stan Lee at a comic convention. This collection of memes was originally posted on Autism Odysseys Facebook Page. If you can’t look past someone’s differences, you may be missing out on some amazing friendships. 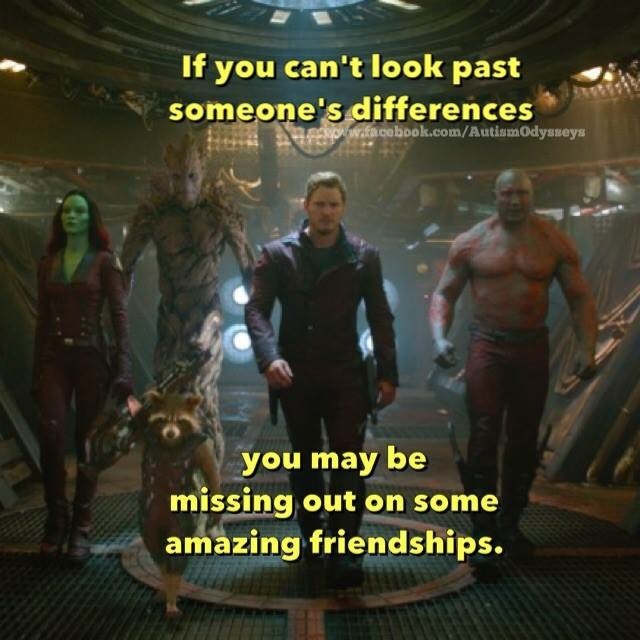 Guardians Of the Galaxy was all about looking past differences! 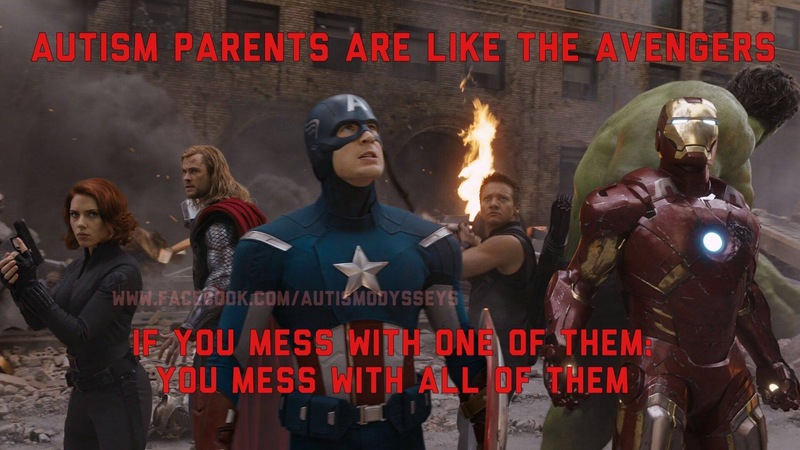 Autism parents are like the Avengers – if you mess with one of them, you mess with all of them. Slightly exaggerated, but I have an awesome support network in real life and online that would resemble this remark! 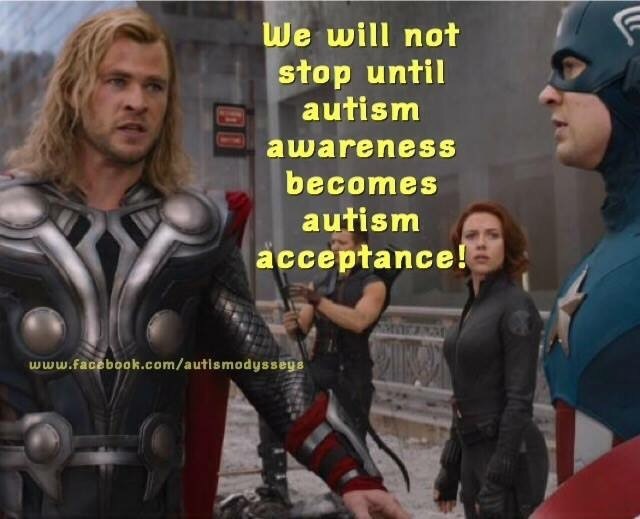 We will not stop until autism awareness becomes autism acceptance! Thor looks like he could totally be saying this! 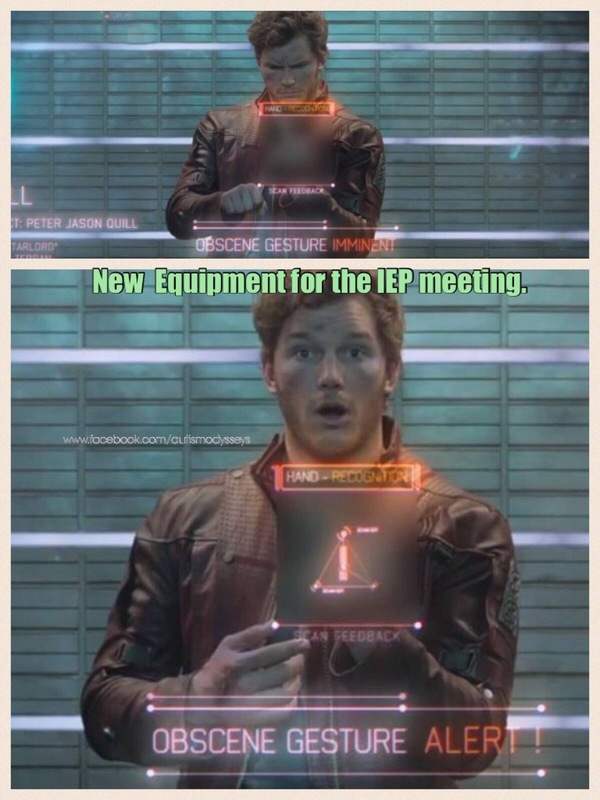 New equipment for the IEP Meeting. 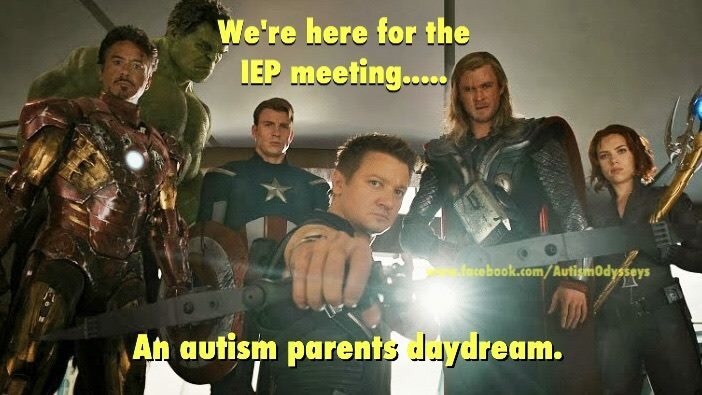 Autism parents daydream (Avengers rushing to the IEP meeting). I made these for friends to cheer them up after some difficult meetings. 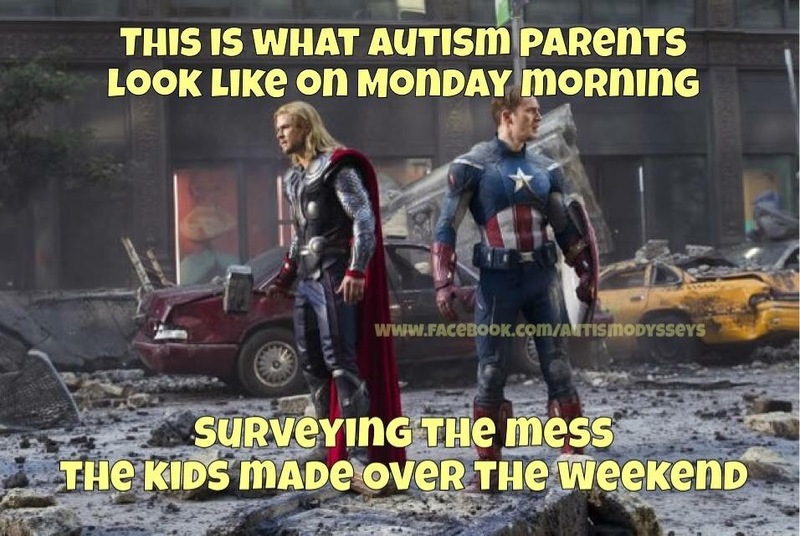 This is what autism parents look like on Monday morning surveying the mess the kids made over the weekend. I think this really applies to ANY parent. 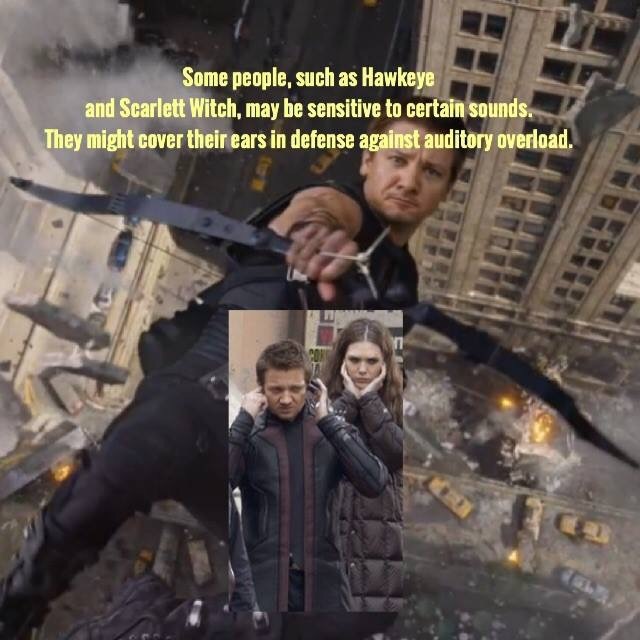 Some people, such as Hawkeye and Scarlett Witch, may be sensitive to certain sounds. They might cover their ears in defense against auditory overload. 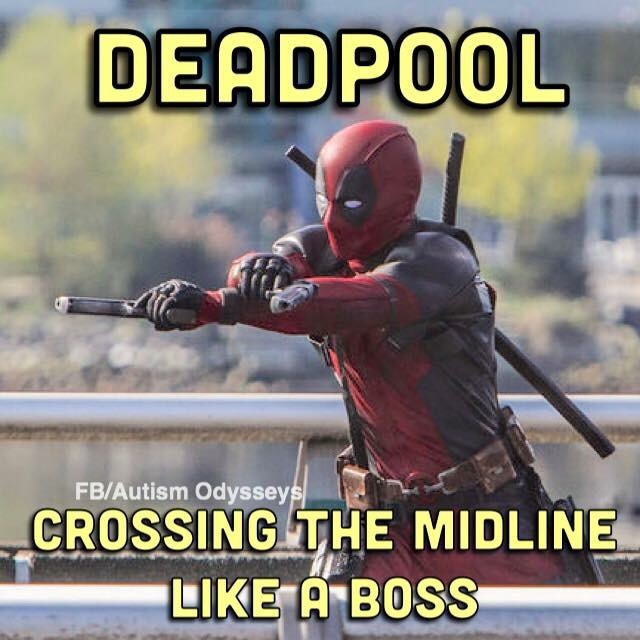 Deadpool – crossing the midline like a boss. My kids all struggle with this! AKA Dyspraxia. 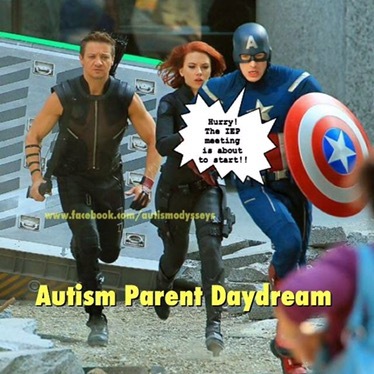 The line in Avengers:Age of Ultron, that autism parents can totally relate to. (Tony Stark telling Thor to “use your words, buddy”). 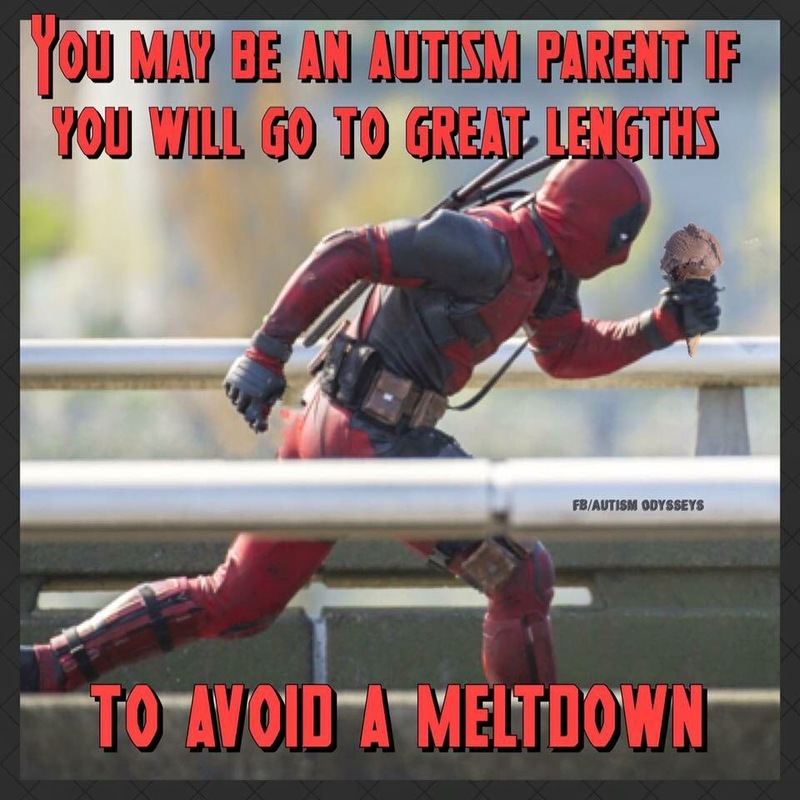 You may be an autism parent if you will go to great lengths to avoid a meltdown. If they need ice cream, you may be getting them ice cream. 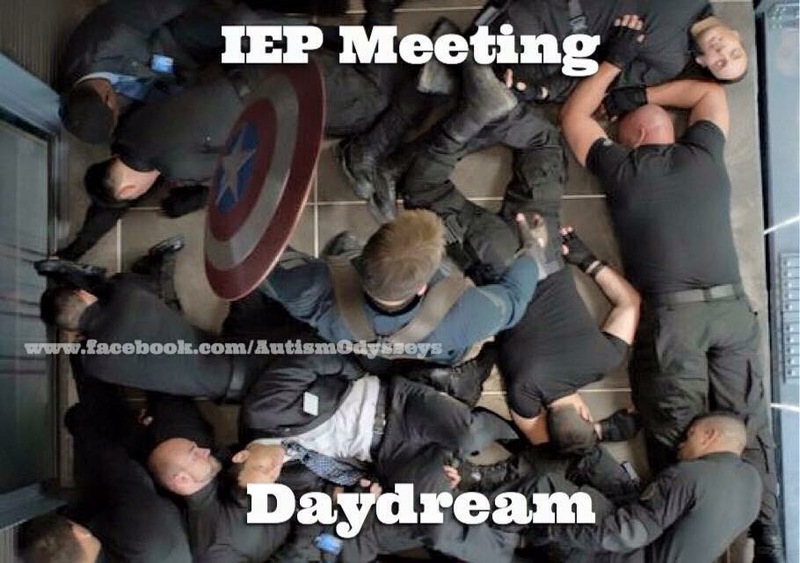 Another IEP meeting daydream. 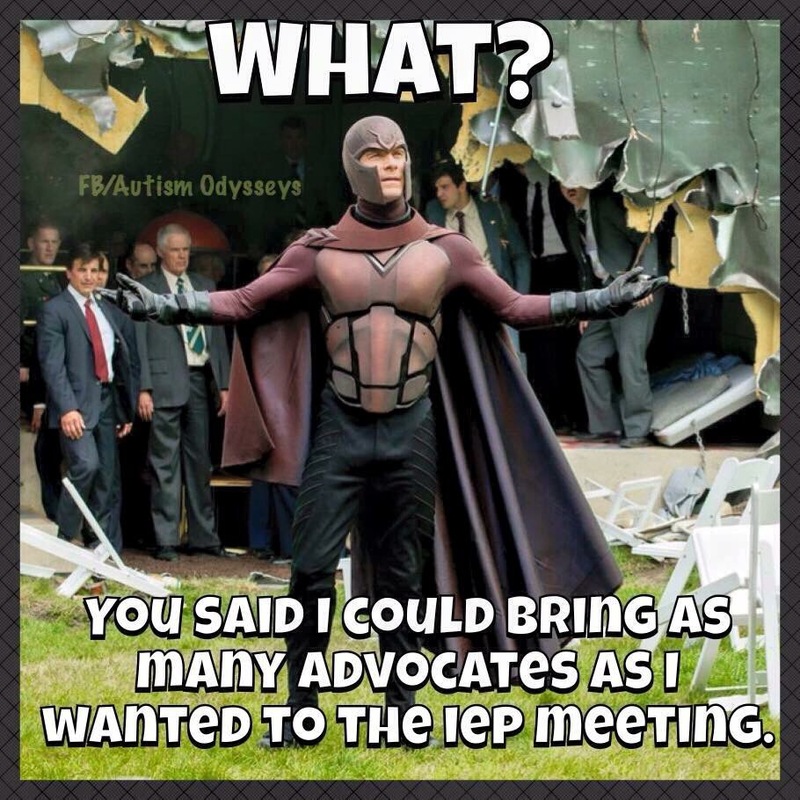 I have been lucky in regards to IEP meetings, but I made these for friends who weren’t as lucky. 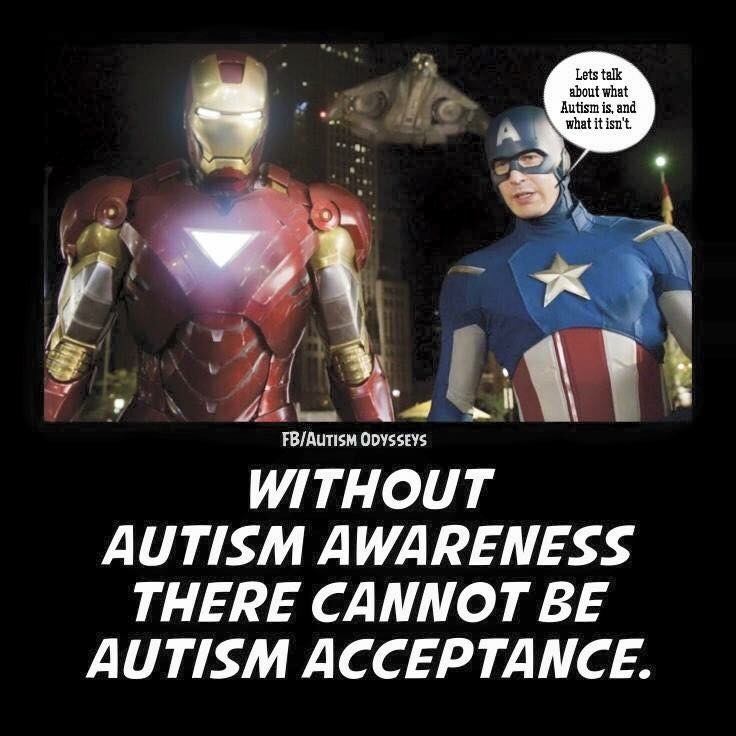 Without autism awareness there cannot be autism acceptance. 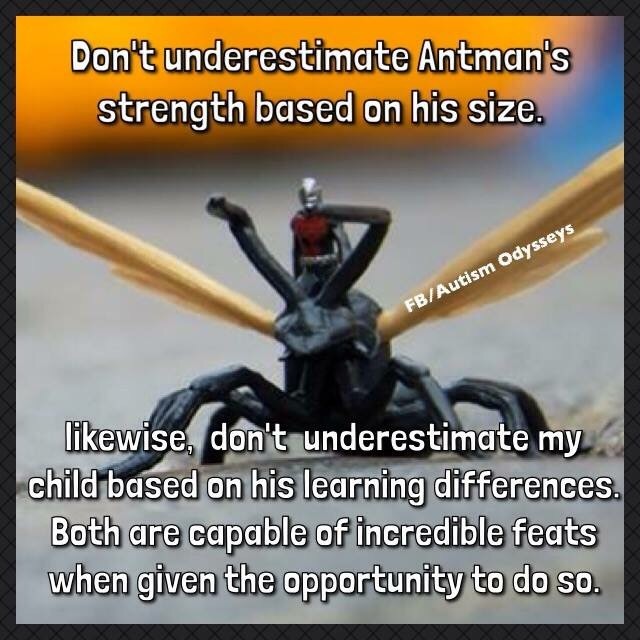 Don’t underestimate Antman’s strength based on his size. Likewise, don’t underestimate my child based on his learning differences. Both are capable of incredible feats when given the opportunity to do so. 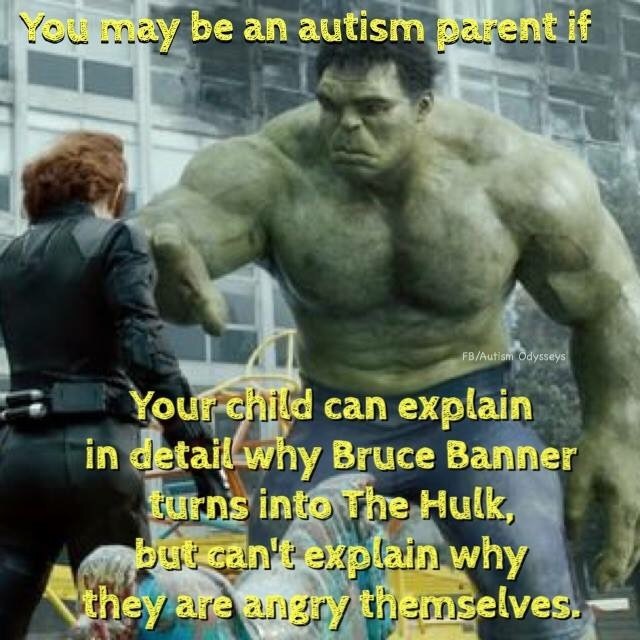 You may be an autism parent if your child can explain in detail why Bruce Banner turns into the Hulk, but can’t explain why they are angry themselves. Who wants to know about Gamma Radiation? All images are the property of Marvel Studios.